Smart cities and counties need website solutions that offer machine learning, an integrated payment gateway, smart search, API integrations, accessibility tools, and a 311/CRM. 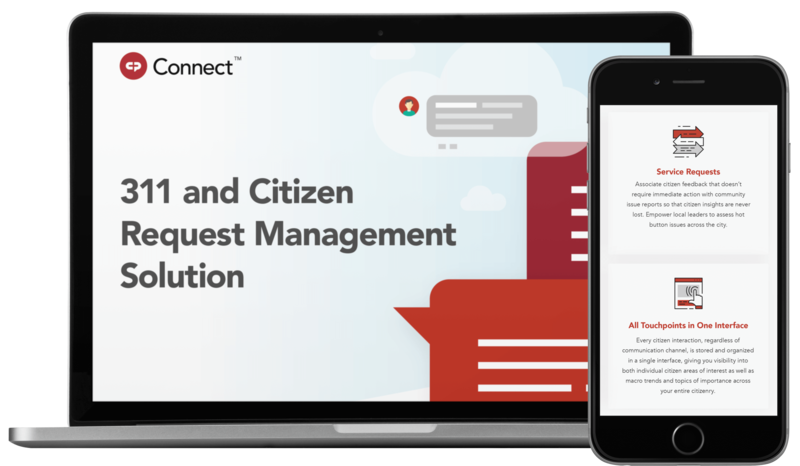 Learn how a 311/Citizen Request Management solution will help you better manage citizen needs. How much time do you spend each day answering citizen questions via phone, email, or in person? An hour? Two hours? You likely already know how you’d spend that time if you could have it back. You’d finally be able to start that project you’ve wanted to get to for months, or clear the backlog of files that have been perched on the corner of your desk since last year. If you’re wishing your citizens could self-service more of their needs online, freeing up more of your day for additional strategic work, you’re not alone. Your citizens want the same thing. A survey commissioned by Nuance Enterprise found that 67 percent of respondents would prefer to self-service their needs, rather than speak to a representative. If citizen phone calls and walk-ins account for an unsustainable part of your work day, your municipal website may not be giving citizens the self-service tools they want and need. We’ve compiled a list of the five must-have citizen self-service features for your website. If you’re not offering these features today, it’s time to reconsider your website content management system (CMS). Today's citizens want and expect every digital experience that they have to be customized and personal. Spoiled by tech goliaths like Google, which knows just what we're trying to find based on our search terms, and Amazon, that can provide product recommendations based on past searches, a website that offers the same experience to everyone is no longer enough for anyone. Today, municipalities need government content management systems (CMS) that can detect patterns in user navigation and search behavior at the individual level and serve up tailored, relevant content based on that information. More than ever before, a large segment of the population is more comfortable remitting payment online than putting a check in the mail. Today’s citizen engagement model is all about convenience and simplicity. Your citizens want intuitive and streamlined access to municipal services, and that includes remitting payment for everything from permits to taxes, to utility bills, which is why you need to offer your citizens an integrated and secure payment gateway solution. Ideal for easily and securely entering and authorizing credit, debit, and EMV card transactions, a payment gateway provides the technology to securely capture and transfer credit card information from a website to the merchant account. Click below to learn about CP PayTM, part of the CivicPlus® Platform for local government. Your local government website should be designed with intuitive navigation and with the most popular civic offerings front and center on the homepage. Usability testing can help you determine what areas deserve the most prominence. Still, you can expect some citizens will want to bypass your navigation menu in favor of searching for exactly the information and resources they want and need. Be sure your website offers a prominent search feature and that your CMS indexes content daily to ensure your citizens' search results are relevant and timely. Every municipality has unique needs. Over time, local governments customize their software solutions and build data integrations to meet those needs. APIs are the keystones for such integrated convenience, An API is a set of routine definitions, protocols, and tools that allow for a software solution interface to interact with other sources or software elements. Enabling communication between your government content management system and third party software provides the flexibility to leverage the capabilities of both systems. Such integrations maximize your ability to offer citizens convenient self-service tools, such as adding a council meeting invitation to their personal desktop calendar, or sharing a news article to their personal Facebook page in one click. Click here to learn more about the importance of building your local government website from an API-first design mindset. Every citizen in your community deserves equitable access to your digital content. Web accessibility standards are national requirements that ensure content can be easily accessed by all citizens. To ensure equitable access to content and compliance with the latest requirements of the Americans with Disabilities Act (ADA), your municipal website needs integrated accessibility automation and remediation functionality that allows citizens to customize and enhance their experience with your website based on their individual needs. Click here to learn how CivicPlus has partnered with AudioEye Inc. to offer such tailored accessible content. For more information on the latest accessibility requirements, click below to access our compliance resources. The role of local government is to serve its constituents. The days of one-size-fits all citizen services are gone thanks to the proliferation of mobile technology and a myriad of emerging communication channels. Today's citizens no longer accept one-way forms of engagement and their busy lifestyles mean barriers to traditional forms of service requests, like walk-ins and phone calls, and neither do you, as limited communication channels mean bottle necks in your workflows. In order to service today’s citizens local governments must accommodate a multi-channel citizen service request strategy that leverages email, social media, phone calls, text messages, and walk-ins, but that strategy must be backed by workflows and processes that make managing and responding to multiple channels streamlined and simplified. A robust and integrated 311 and citizen request management solution allows local governments to use a variety of convenient channels to capture and respond to citizen needs, which enhances public engagement, demonstrates transparency, and reinforces the commitment of local leaders to respond to citizen needs. If you’re wondering how well your current website meets the self-service needs of your citizens, start with a third-party performance review. This free report will tell you how your current local government website performs in such areas as mobility, missing files, popularity, and search engine results. 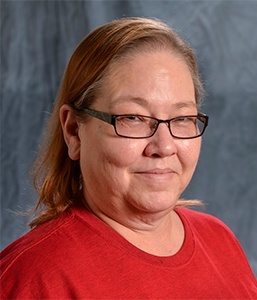 Deb McNew has been with CivicPlus since its inception. She began with CivicPlus as a trainer and consultant and over her tenure worked with hundreds of municipalities all over the United States and Canada. She now holds the position of General Manager for its CivicEngage division and is a Vice President and member of CivicPlus’ executive leadership team. Deb has a very passionate vision of how the municipal website can and will help government work better for the staff that work there and the citizens it serves. She works to push our products and services to be the best of class to deliver on that vision.